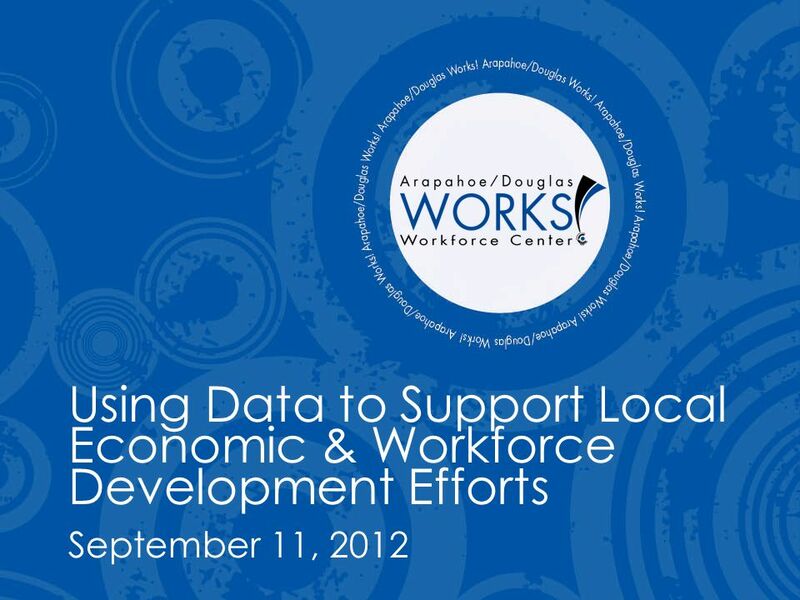 Using Data to Support Local Economic & Workforce Development Efforts September 11, 2012. 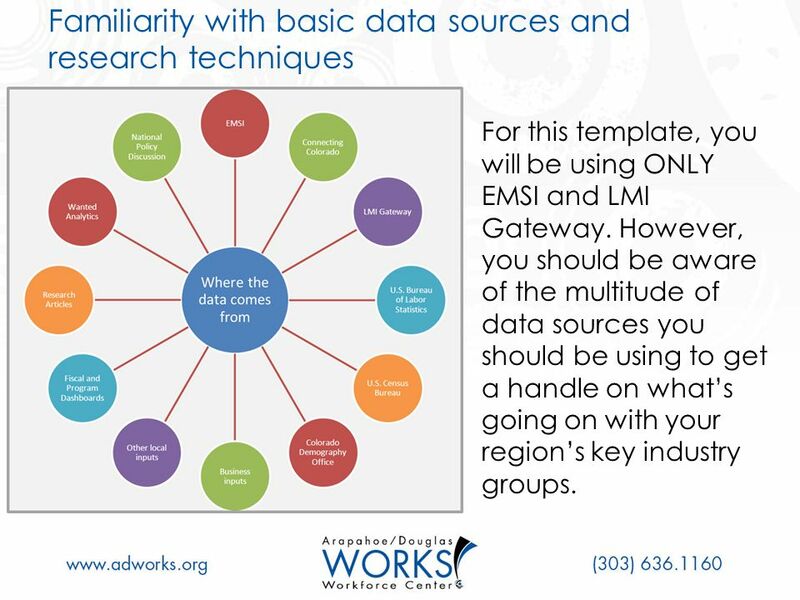 3 Familiarity with basic data sources and research techniques For this template, you will be using ONLY EMSI and LMI Gateway. 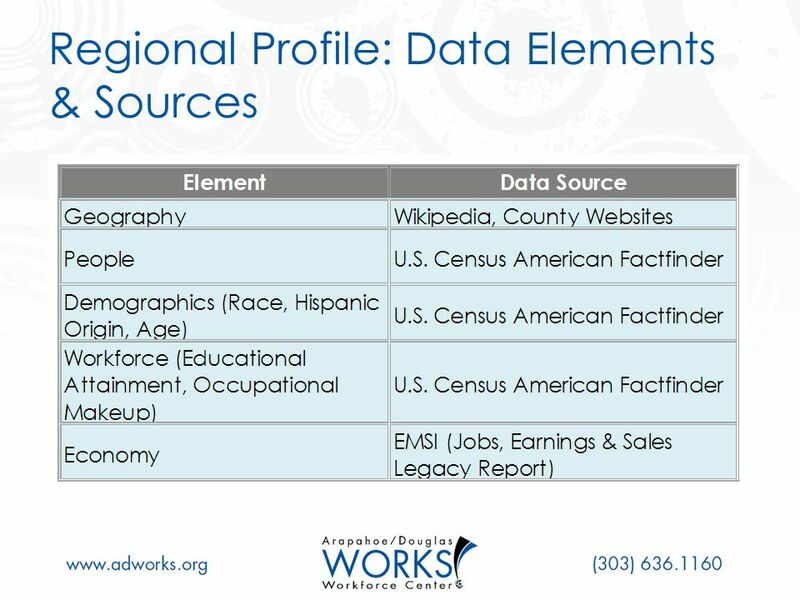 However, you should be aware of the multitude of data sources you should be using to get a handle on whats going on with your regions key industry groups. 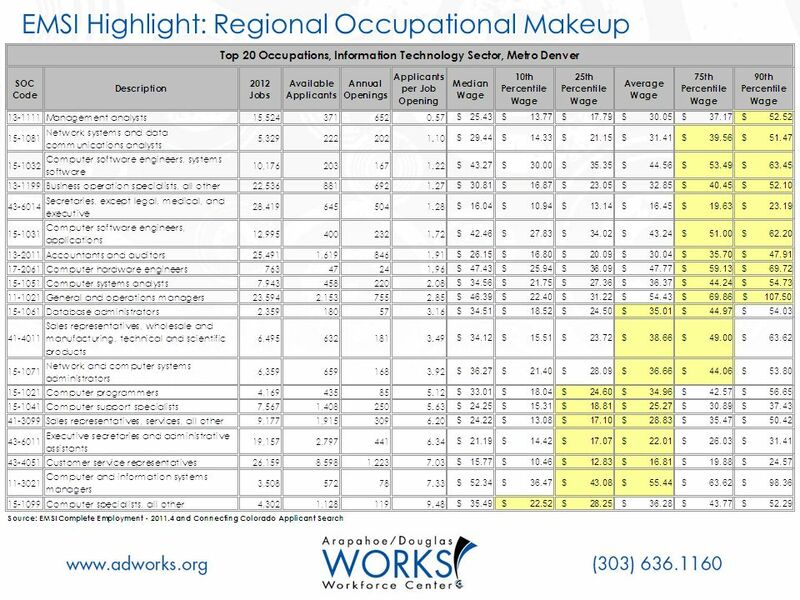 12 Regional Occupational Makeup (Cont.) 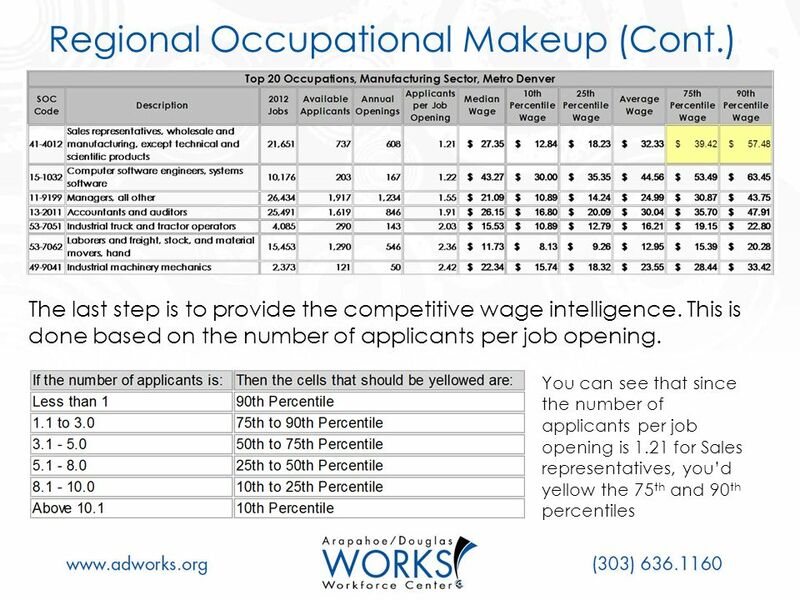 What youve just done here is provide business intelligence about supply/demand in various occupations and show how this might affect where the wage offer would fall. 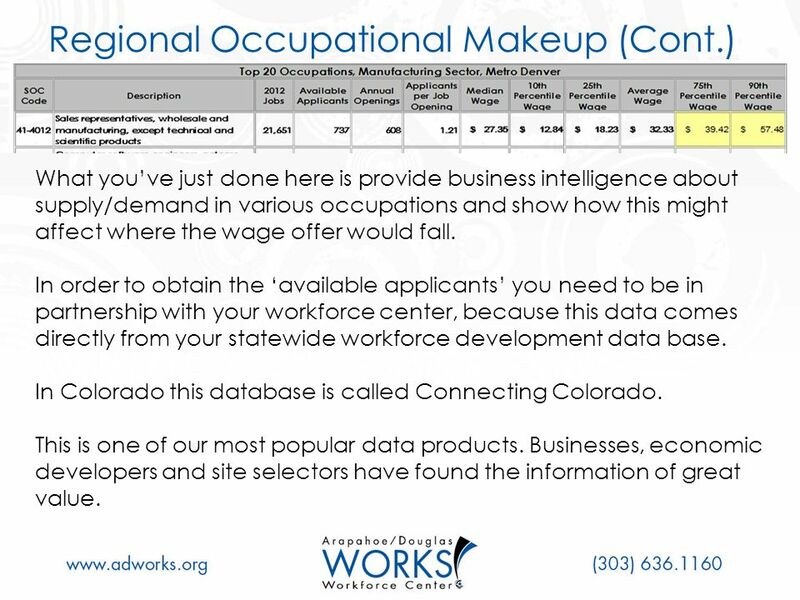 In order to obtain the available applicants you need to be in partnership with your workforce center, because this data comes directly from your statewide workforce development data base. 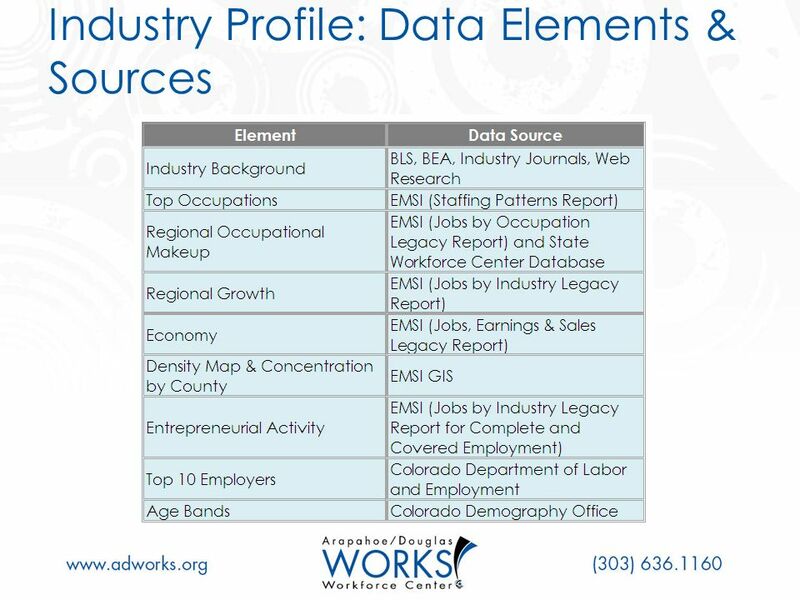 In Colorado this database is called Connecting Colorado. This is one of our most popular data products. Businesses, economic developers and site selectors have found the information of great value. 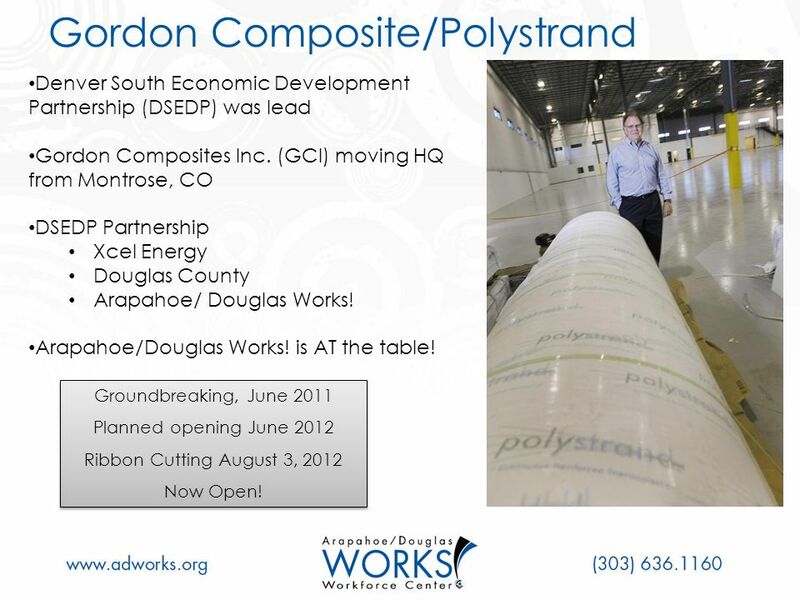 19 Gordon Composite/Polystrand Denver South Economic Development Partnership (DSEDP) was lead Gordon Composites Inc. (GCI) moving HQ from Montrose, CO DSEDP Partnership Xcel Energy Douglas County Arapahoe/ Douglas Works! 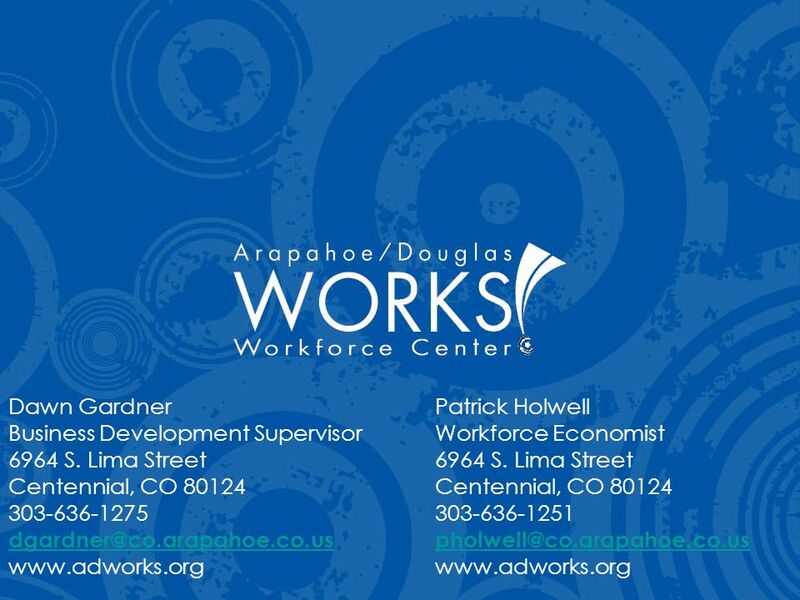 Arapahoe/Douglas Works! is AT the table! Groundbreaking, June 2011 Planned opening June 2012 Ribbon Cutting August 3, 2012 Now Open! Groundbreaking, June 2011 Planned opening June 2012 Ribbon Cutting August 3, 2012 Now Open! 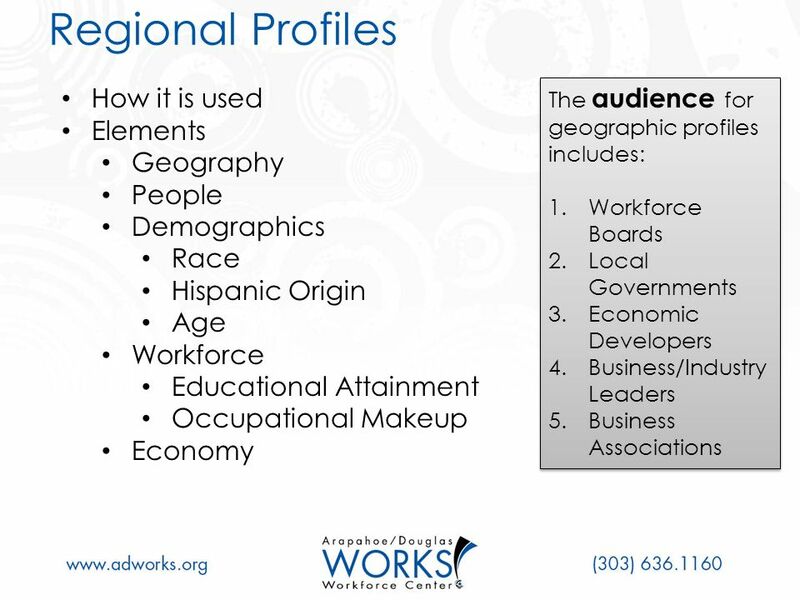 Download ppt "Using Data to Support Local Economic & Workforce Development Efforts September 11, 2012." Update Trade Flow parameters Add Map/Diagram View of model to assist in finding policy variables and result items Convert real $ base year from 2000 to. North Carolina and the 2010 Census Planning for the Next Decade NC SDC Annual Meeting June 18, 2008. The Demographics of Employment, Unemployment and Labor Force Participation in Maine Educational attainment, age, gender, industry & occupation Glenn Mills. Preparing Marylands Workforce to Compete Globally Kenneth E. Poole, Ph.D. President CREC Executive Dir. C 2 ER. Employment Needs & Labor Market Data VACTEA 2010. 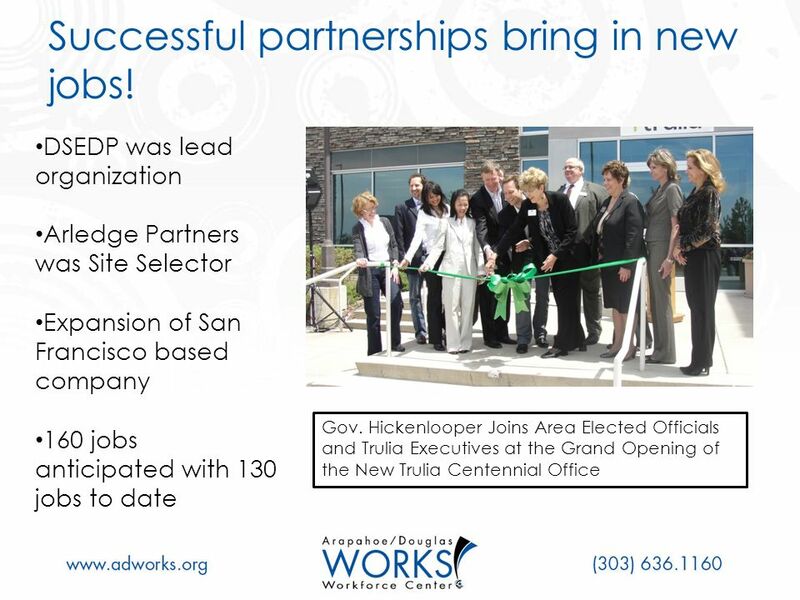 Employment Dynamics Information for Strategic Industry Partnerships. 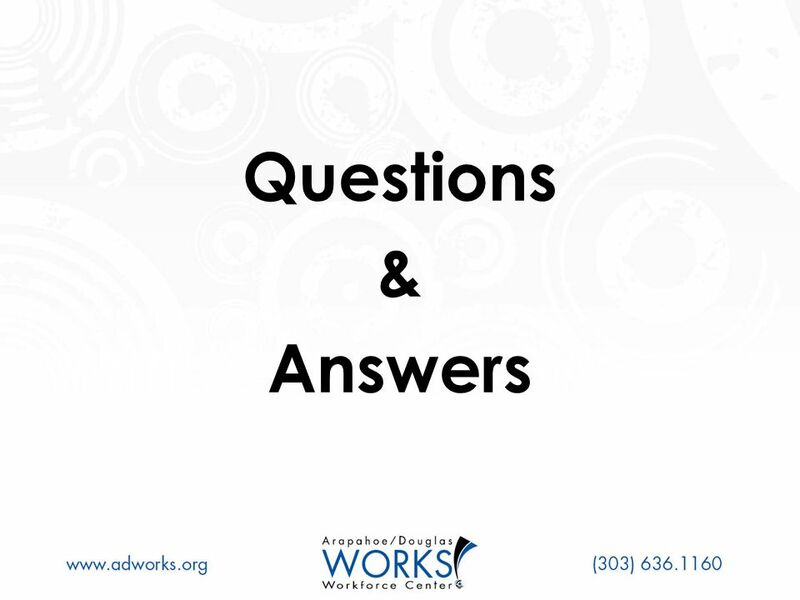 Ad Hoc Committee Meeting June 17, Meeting Topics State WIB Examples Brookings Update WIA Reauthorization. 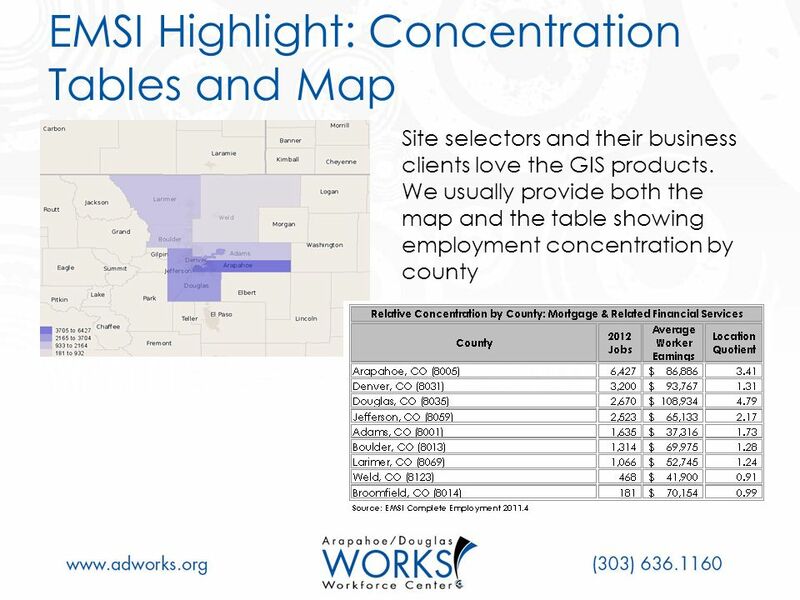 EMSI Helps Us Understand Our Workforce EMSI Helps Us Understand Our Workforce. 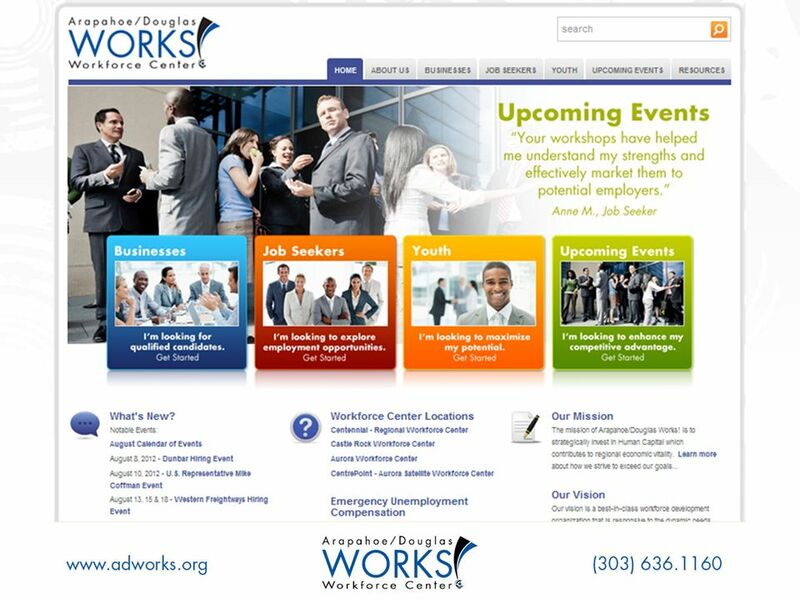 James Satterwhite Executive Director Workforce Solutions – Rural Capital Area. 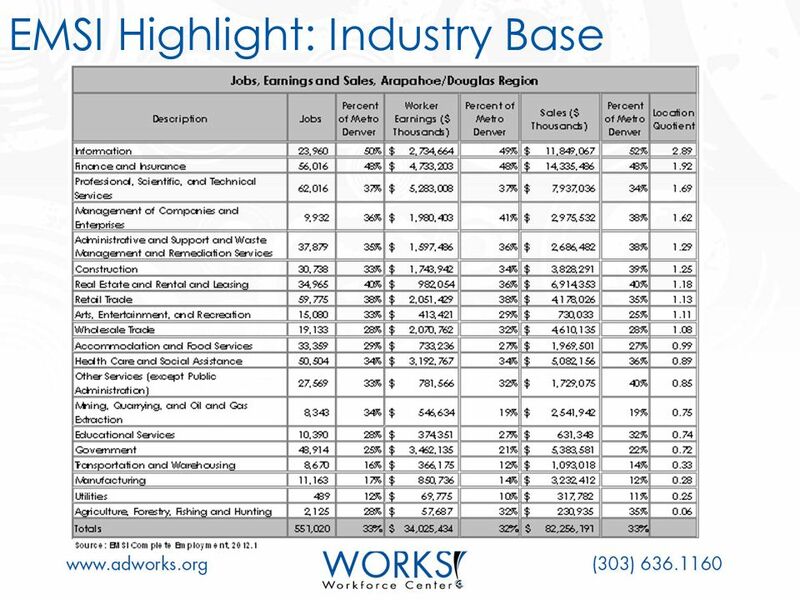 Labor Market Data 101 Moscow, ID. 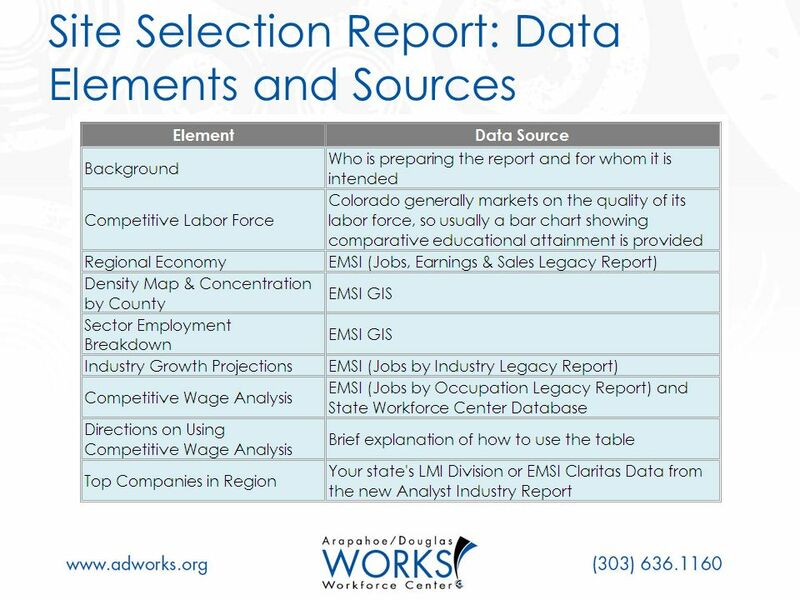 Labor Market Data 101 What are we actually talking about when we say “Labor Market Data”? Who collects it and how? What. 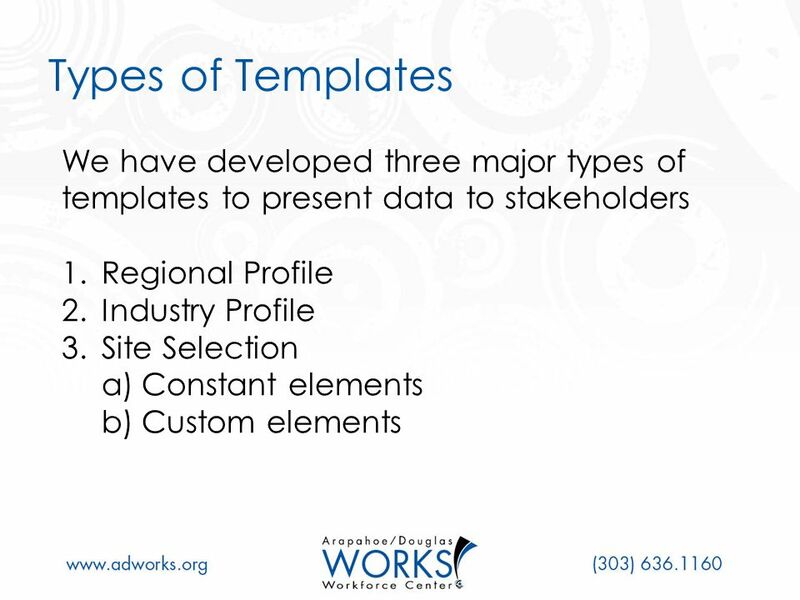 ALMIS Data At Work – A Consultant’s Perspective Presented to The ALMIS Database Seminar – San Diego August 15, 2005. 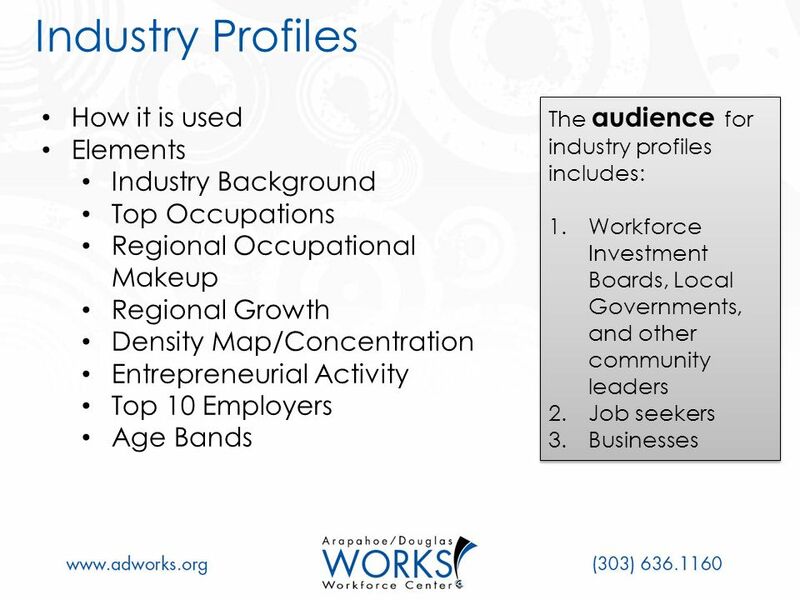 [Local] Workforce Investment Board New Member Orientation. 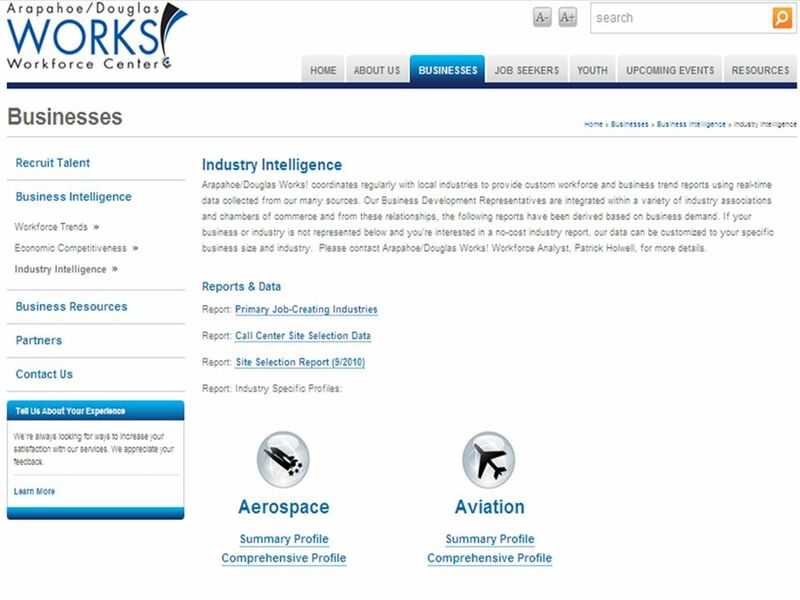 The Geospatial Industry Workforce Information System Presented to the National Geospatial Advisory Committee December 8, 2010. Labor Market Rationale in Curriculum What is it and why does it matter? Lori Sanchez, Director, Center of Excellence, Chaffey College Wheeler North, Treasurer. California Workforce Needs Assessment for Energy Efficiency, Demand-Side Management, and the Green Economy Carol Zabin, Ph.D., Project Manager Donald Vial. 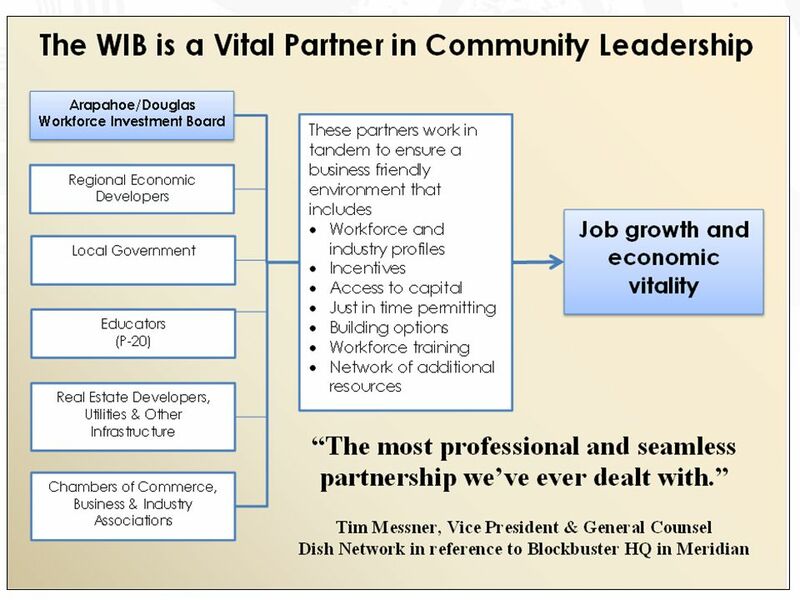 Bo Beaulieu & Michael Wilcox Purdue Center for Regional Development & Extension Community Development Program Exploring Your Local and Regional Economy. 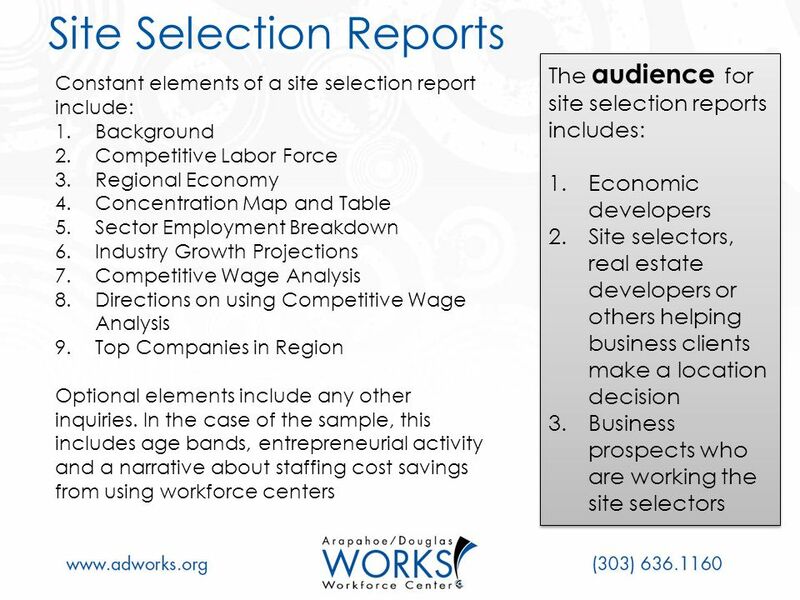 Economic Development Commission of Florida’s Space Coast Services to Support Economic Development Labor Market Statistics Center February 16, 2012.